The city of Ljubljana has a great number of atypical artistic projects related to urbanity and to changes affecting contemporary cities. Apollonia brings together artists, architects, composers who will produce and display artworks questioning cities’ identity and evolution. 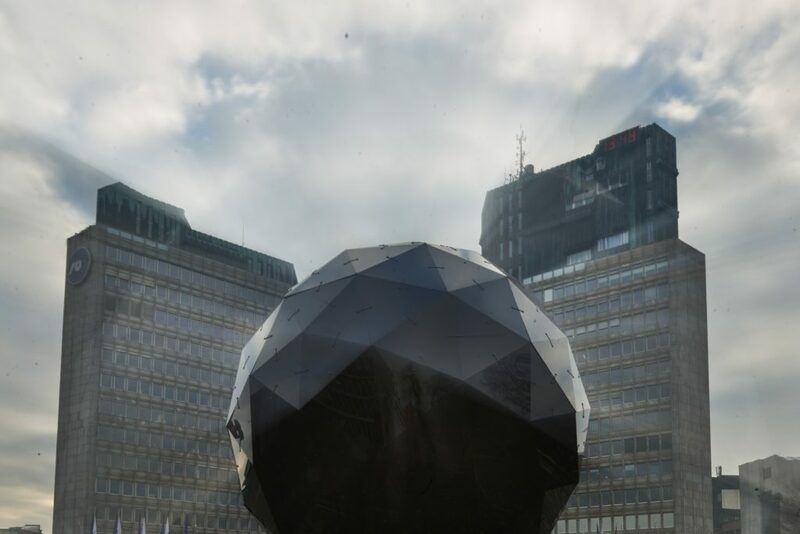 e.city – Ljubljana especially focuses on new technologies, environment and urban sounds through the work of artists such as BridA, Brane Zorman & Irena Pivka, Polonca Lovšin, Martin Bricelj and the others to come. The second part of the e.city – Ljubljana cycle is an artistic footpath enhanced by several interactive installations. This footpath will link the Apollonia Garden to the Lieu d’Europe and the streets of the Robertsau area in Strasbourg. ⇒Any person who would like to take part in the performance by reading a text on the LIBERTY topic is kindly asked to contact Apollonia team before 27/10. Moonolith is an interactive monument for public space, reflecting the moon and the constellations of the stars on its surface. It is a monument dedicated to citizens, a tribute to the dark matter, the emptiness of space, time and its path. Moonolith is a dark reflection of the sky – with subtle sounds and lights, it illuminates and reflects the moon’s phases, the constellation of stars and the people who surround it. 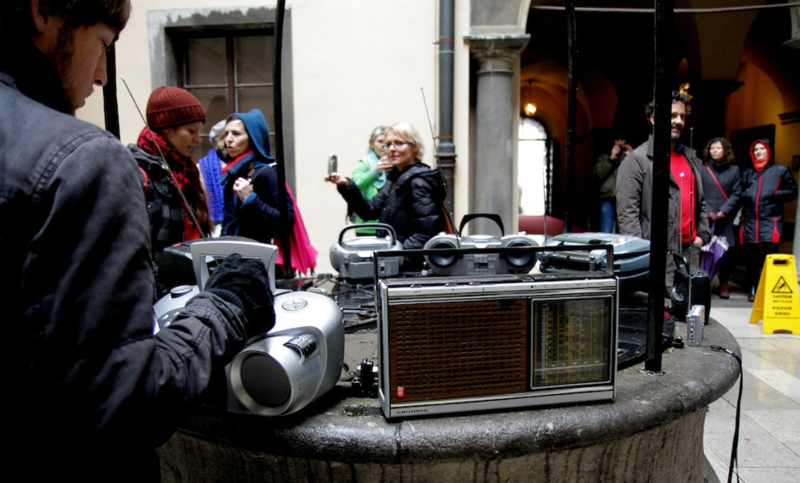 The duo Brane Zorman and Irena Pivka presents a sound walk in situ of approximately 2km in the streets of Robertsau. This walk invites visitors to understand and discover the history of the area and the participative garden of Apollonia. A equipment* will be provided to the the public in order to enjoy this artistic footpath. *Equipment available at Apollonia venue until 17th of December (We-Fri 11 a.m. – 6 p.m / Sa-Su 2-6 p.m.). 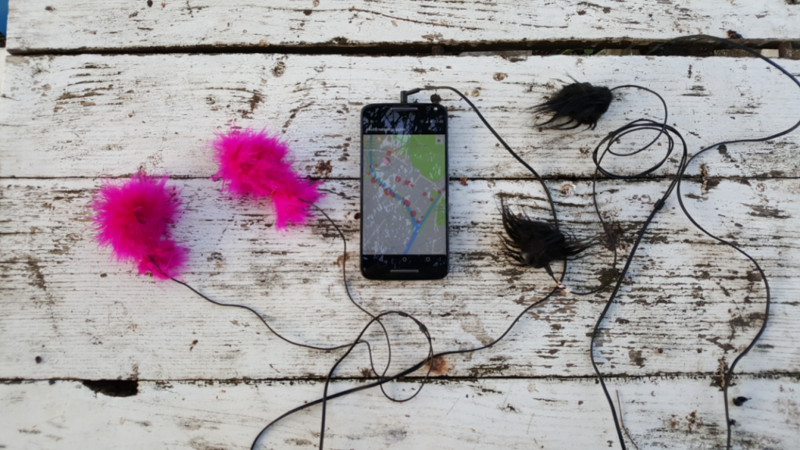 This artistic device imagined by the artist implies an active participation of the public. Every participant can improvise himself as a speaker on the platform which is accessible from the stairs, but at one condition… find his own public! The speaker’s speech can be heard only if someone is moving on the platform underneath, generating with those movements energy. Concept development, product design and production of prototypes of electricity generators powered with human power: Asst. dr. Andrej Cupar, Dipl. Ing. Mech. Eng. – product designer, University of Maribor, Faculty of Mechanical Engineering, Laboratory for Engineering Design / Asst. Prof. dr. Jasmin Kaljun, Dipl. Ing. Mech. Eng. – product designer, Laboratory for Intelligent CAD Systems, Faculty of Mechanical Engineering, University of Maribor, Slovenia.